The 911 SC came along in 1978, as the 911S and 911 Carrera disappered. 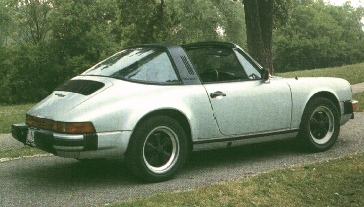 The 911 SC was available for all markets. It held a 3.0L engine within it, producing 180 Horsepower for all years. It remained pretty much the same over its lifespan, with different options taken and added here and there. In 1980, a special edition 911 Weissach came out to boost sales. However, the 1983 911SC carried the biggest change in the 911's history--it became convertible! It was called the 911SC Cabriolet, and was the first convertible Porsche since the 356. This became an extremely popular car, and was heralded as the fastest convertable in the world. They were sold out more than a year in advance. The Cabrio led Porsche into 1984, where the 911 Carrera took over.